It’s been six months since I’ve heard those three words. “You are my love,” he said. This is a rare occurrence for me. Two posts in one day. But it IS Valentine’s Day and if you can’t pull another post out of your bum, especially when it’s about what you love, on this day of all days, you need to put down that box of chocolates and join in. It’s that time again. 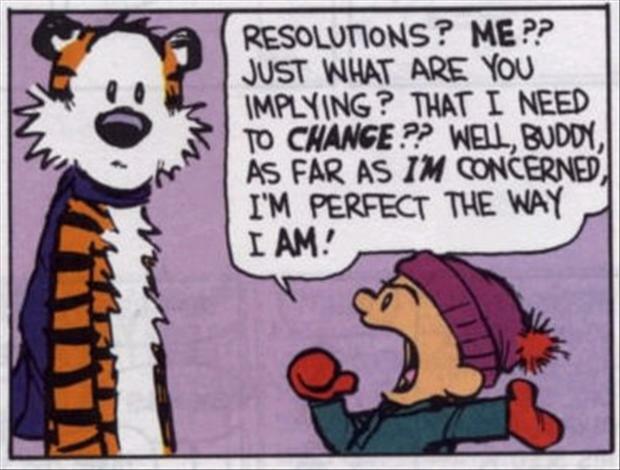 The annual new year’s listing of resolutions. I’ve never warmed to this yearly ritual. Taking the time to make a list of things I want to change about myself when I absolutely know I’ll lose the damn list right about the time I get to “lose 10 pounds, again.” seems like a waste of a perfectly good piece of paper.